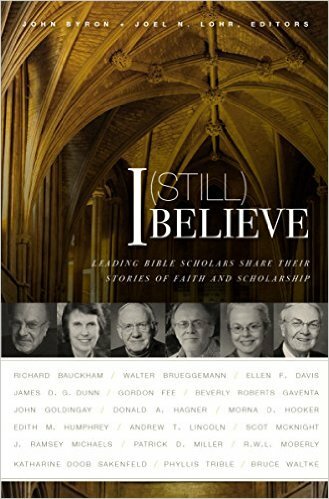 This week's sample from John Byron and Joel Lohr's, I (Still) Believe is Walter Brueggemann. Last week we sampled the chapter on Richard Bauckham. 1. The name of Walter Brueggeman will be familiar to many. The work that put him on the radar of many of us was The Prophetic Imagination, in which he traces the rise of power in the Old Testament and then shows the prophetic critique of that power. He is thus a champion for those who emphasize social justice and the social dimensions of the gospel. In this chapter, we catch a possible hint of the origins of that emphasis in his childhood. His father was a dirt poor pastor for a community with extensive financial resources. 2. Brueggemann grew up in the "Evangelical and Reformed Church," which at the time he was being ordained merged to form the United Church of Christ. I have of course heard of the UCC, but knew nothing of its origins. It goes back to 1817 and Prussia when the king of Prussia got tired of the Lutherans and Calvinists fighting each other theologically and created a "Prussian Union." Because theology could not be the uniting point of the church, its principle of unity became more pietist and social justice focused. Since theology was not the focus of Brueggemann's tradition, modernism did not create a serious crisis for his tradition. By the time he was born, his pastors and teachers already knew about German criticism but it was of little concern to them. The focus of preaching was on social justice and on an irenic spirit. He speaks of his rural home community: "The contrast between an evangelical congregation [his] and that of the Missouri Synod could not have been sharper. The Missouri Synod was (and continues to be) militantly exclusionary and vigilant about its doctrinal purity in a way that let the evangelical church be seen, by contrast, as wondrously free and open" (31). This comment sparked a question about our current religious landscape in the US. I wondered if you took the fervor and organizational skill of a mega-church pastor and put it in a UCC pastor, might not that tradition be able to spark a revival among the nones right now, to save them from the abandonment of Christianity in a way that no remnant church is likely to do at this time? I don't expect it to happen, of course. 3. I'm probably telling too much. Pre-order the book! Brueggemann tells of the important teacher influences of his life at Elmhurst College and Eden Seminary. The Niebuhr's are mentioned, along with James Muilenburg, Brevard Childs, and Paul Ricoeur. His teachers/influences enabled him to listen to the story of the Old Testament as a story full of truths, rather than to get preoccupied with questions of historicity, along with source and form analysis. 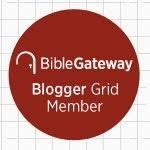 "When our certitudes and our formulations of them are small, they cannot withstand the force of biblical criticism" (41). "I have never felt that critical study has in any way jeopardized my faith" (40). "The church is my 'natural habitat' for work" (41). 4. He gives some good advice at the end of the chapter, including "Do not arrive too soon at fixed, settled positions" (41). "Read widely and deeply." "Remember that we are not the first ones to struggle with these issues" (42). And perhaps most importantly, "We are always the 'junior partner' in interpretation. The senior partner is God's own Spirit." 5. Ricoeur has played a similar role in my own ability to transcend the "smally formulated certitudes" of fundamentalism. Brueggemann mentions Ricoeur's "orientation-disorientation-reorientation" schema. A solid training in biblical studies will often lead to disorientation to those who grew up in narrow circles. But this need not lead to a loss of faith. Faith-ful scholars like Brueggemann show us one way. I will be getting the book based on what you have written so far. Looks great. Question on something you brought up: Which, if any, megachurches do you see as doing a good job in regards to the concerns you expressed? I think megachurches do very well on two things in particular--they generate enthusiasm and they are well-organized. Most liberal pastors (to be horribly stereotypical) are as boring as Mr. Rodgers.